As you know, I’ve been recently obsessed with strawberries. ‘Tis the season, after all! I can’t resist snacking on these little lovelies, let alone adding them to everything I’m eating. Or, as is the case today, creating brand new recipes for decadent desserts that belong to the world of Paleo fantasies. 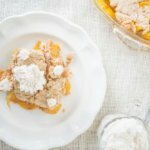 Because how many times have you looked at a dessert and thought, “Oh my gosh. 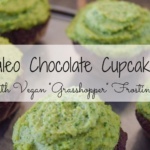 I wish that was Paleo.” I do it every day: in the grocery store, walking past a cupcake shop, scrolling through Pinterest. Especially scrolling through Pinterest. Pinterest used to be the devil for me. “Oh, you collect pins about Paleo food? Here’s some awesome recipes with seven ingredients you don’t eat.” Thanks, Pinterest. 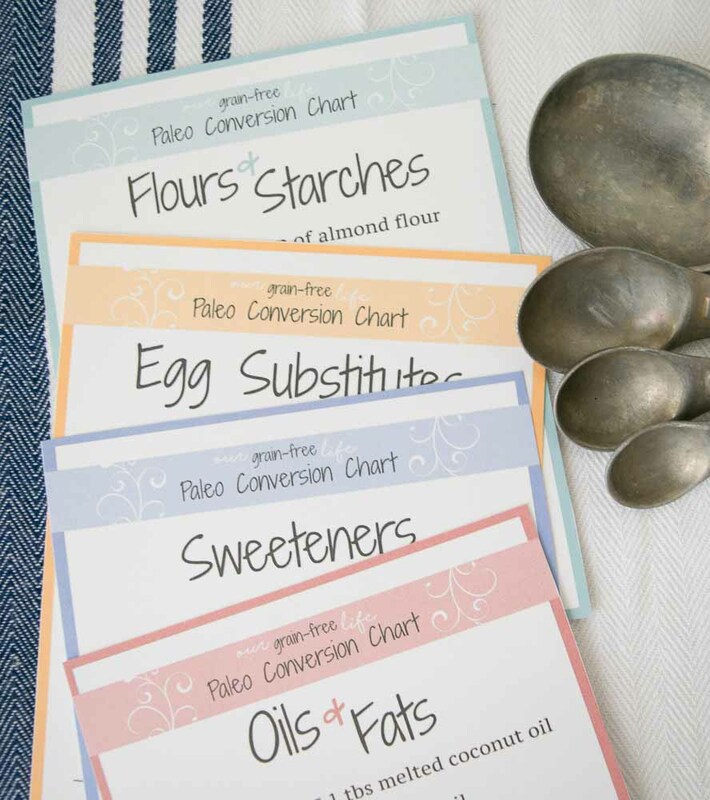 But after they changed their algorithms, I now see loads and loads and loads of Paleo pins. Which is lovely, but I want to create recipes never seen before on the interwebs, or at least never seen as Paleo. 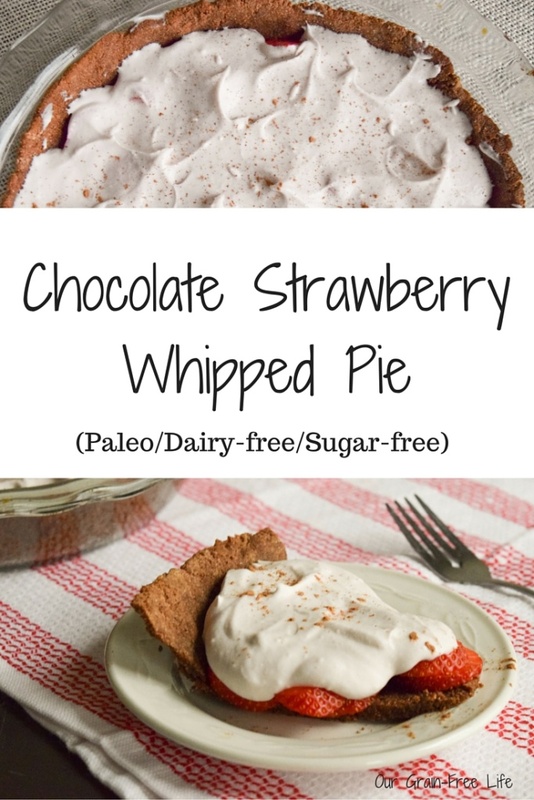 Enter the Paleo Chocolate Strawberry Whipped Pie. How could you not want to eat that? 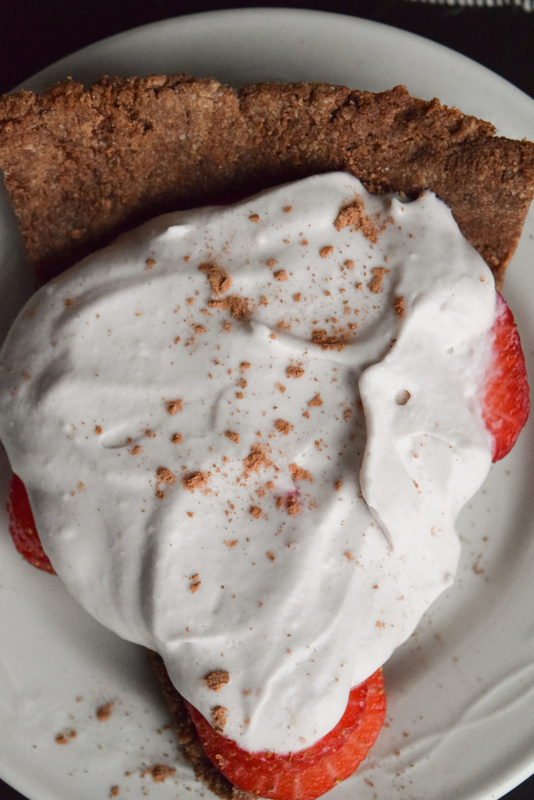 The brownie-like crust is topped with fresh strawberries and coconut whipped cream. It is just to die for. I made this for dessert, but, truth be told, I ate this for breakfast because I couldn’t stop myself. 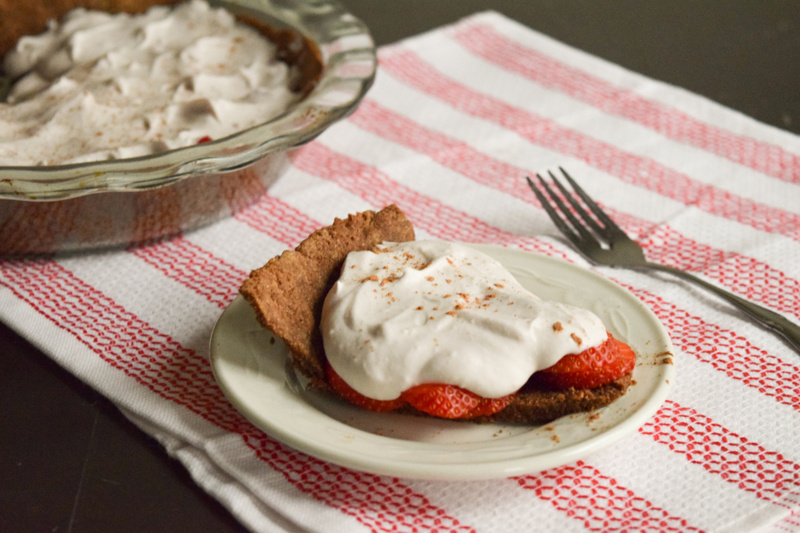 Paleo chocolate strawberry whipped pie for breakfast. That may have been one of the first times that they all agreed. Takes 30 minutes of preparation time, plus 8 minutes of baking. S erves eight people. In a medium-sized mixing bowl, combine almond flour and cocoa powder, using a whisk to eliminate clumps. Cut in coconut oil and set aside. In a smaller bowl, Whisk egg and add agave. Add wet ingredients to the almond flour and cocoa powder. Stir until needing to mix with your hands and you have a ball of dough that sticks together. Chill dough in fridge for 10-20 minutes. 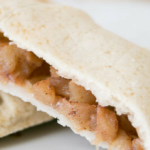 Remove chilled dough from fridge and place between two sheets of parchment paper. Roll dough until it exceeds the size of your pie pan. Remove one sheet of parchment paper, and slide onto a hard surface such as a wood cutting board. Set pre-greased pie pan upside down on top of rolled out pastry dough. Using one fluid motion, place a hand on the bottom of the pie pan, and one on the wood cutting board. Flip the board/pie pan so that the dough will fall naturally into the pie pan. Set the wood cutting board aside and set the pie pan down on the counter. 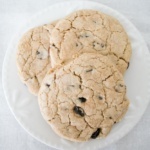 Remove the parchment paper from the dough carefully. If you have any crack, simply press dough together with your fingers. Press dough into place where it may be uneven. Place pie in oven for 8 minutes and then cool after removing. Add pureed strawberry and honey. Chill in fridge until ready for use. Once the pie crust has cooled, layer sliced strawberries in the bottom of the pie crust. 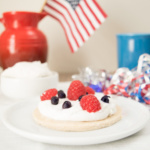 Add whipped topping. Consume massive amounts of this. Please. For me. And then tell me how it tastes in the comments below! Thank you! It most definitely is!